Winter is a good time to literally take inventory of how many of these power foods you have on hand, restock and reminds you to incorporate them into your daily diet. I also take this as a good opportunity to go through non perishables + canned goods to give to my local food pantry. 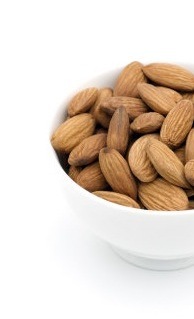 Almonds: good fiber, protein good for your heart. Go ahead and go nuts! Apples: Vitamin C and soluble fiber and helps keep the doctor away. Beets: rich source of folate as well as natural red pigments that may be cancer fighters; save fresh stems for salads for a double bonus. 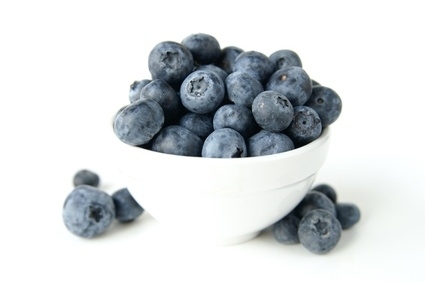 Blueberries: big plant compounds to prevent chronic diseases. Toss in cereal and yogurt to get your day started right. Broccoli: missed your O.J. today? Have a glass of broccoli; it’s powerhouse of calcium, potassium, folate, fiber, Vitamins A & C.
Red Beans: excellent source of iron, magnesium, phosphorus, potassium, thiamin, and copper, low fat low cal source of protein and fiber. A complete meal with steamed brown rice. Spinach: Vitamin A and C folate. Good source of riboflavin, vitamin B-6, calcium iron and magnesium. Boost your immune system and keep hair and skin healthy. Seemed to work for Popeye. Salmon: Omega-3 fatty acids, aids in keeping blood from clotting, good source of protein. Need more reason, just try this tasty recipe for Cedar Planked Salmon. Sweet Potatoes: high in antioxidant beta-carotene which can slow the aging process. Good fiber, fat free, and under 60 calories per tuber. Swiss chard: a leafy green vegetable packed with carotenoids that protect aging eyes. Sorry, the DMV still requires an eye test for drivers license even if you eat your Swiss chard. Pumpkin seeds: the most nutritious part of the pumpkin. Full of magnesium; high levels of the mineral are associated with lower risk for early death. Helpful in the dugout during a Game Day too. Sardines: high in omega-3’s, loaded with calcium. They also contain iron, magnesium, phosphorus, potassium, zinc, copper and manganese as well as a full complement of B vitamins. Enough said. Turmeric: more than just a yellow color to paella, it contains anti-inflammatory and anti-cancer properties. Wheat Germ: great boost to your immune system and cardio health. Go ahead treat yourself to an ice cream topped with wheat germ, you are doing yourself good. 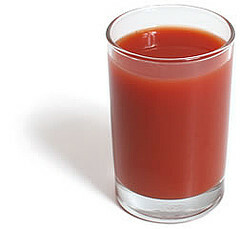 Vegetable Juice: when choosing, select a low sodium version because it’s filled with lycopene, an antioxidant that reduces risk of heart attack and prostate cancer.